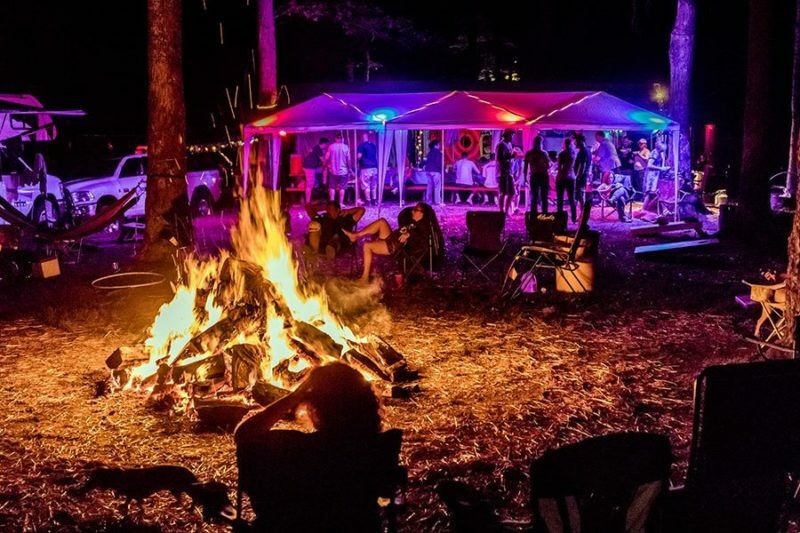 Festival-goers relax around a bonfire at Waynestock, celebrating its 20th year at River Expeditions. The organizer of one of West Virginia’s longest-running outdoor-recreation festivals says the Mountain State is an ideal travel destination and is encouraging its communities to explore tourism as an economic option. Wayne Lesperance, a veteran marketer from Harrisburg, Pa., who’s organizing the 20th annual “Waynestock” in Fayetteville, says West Virginia has everything it needs to move forward with tourism where other industries have weakened. 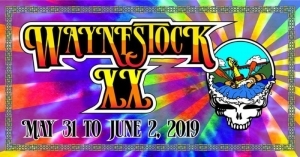 Waynestock 2019 is scheduled for May 31-June 2. “There are economies that are built on tourism, and West Virginia could be one of them,” Lesperance said during a break in organizing the festival, which welcomes hundreds of guests to explore the New River Gorge each summer. “I’d love to see the state embrace people’s love for the land and share it,” he said of the state, underscoring the potential of communities such as Fayetteville and Berkeley Springs, which have built economies based on community character. “I’ve seen the growth in Fayetteville and have watched as Berkeley Springs has grown from a small park with a springs to include all kinds of shops and restaurants,” he said. To some extent, Lesperance’s love for the Mountain State was first piqued in 1999 during a trip to the whitewater-rafting mecca on the Youghiogheny River at Ohiopyle, Pa, about an hour’s drive northeast of Morgantown, West Virginia. Soon afterward he attended a travel show at Harrisburg at met Rick and Heather Johnson, the owners of River Expeditions, who convinced him to raft the New River. “There were about 25 different outfitters running in the New River Gorge at the time, and Rick and Heather talked about the class four and five rapids and said they would make me a deal if I brought new people. “Everybody congregated at my place anyway, so we pulled together 50 people no time,” he said. Lesperance says he sees the potential for the same dynamic to occur in other regions of West Virginia and hopes natives continue to embrace the potential of welcoming guests and building relationships, though that has not always been the case. Emphasizing the relationships that have developed, Heather Johnson echoed Lesperance’s commitment to welcoming guests to West Virginia and to providing the best possible service. Johnson’s River Expeditions remains one of the chief rafting outfitters running the New and Gauley rivers and maintains a 100-acre resort property near Fayetteville that offers all manner of outdoor recreation opportunities, including canopy tours. The ability of native West Virginians to welcome visitors, which some say is a cultural attribute, has helped River Expeditions thrive while rafting has generally declined since the 1990s. “We’ve earned their respect and they have rewarded us with their loyalty in times when loyalty is scarce,” Johnson said.